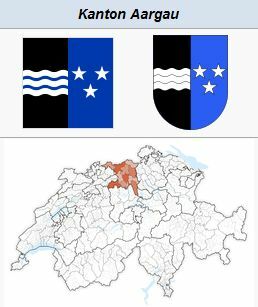 The origins of the Anabaptist movement in the canton of Aargau, Switzerland, go back to 1526. Among its most prominent members were Hans Pfistermeyer and Heini Seiler the hatter, both of Aarau. The former was won for the movement (1525) by Jacob Gross of Waldshut; but on 19 April 1531, in Bern, where as a prisoner he had to take part in a religious disputation, he rejoined the Reformed Church. The latter was arrested in Bern and after a severe trial involving torture, in which he remained steadfast, he was sentenced to death on 8 April. In 1531 he was a fellow prisoner with Pfistermeyer, who urged him to yield on the point of infant baptism, but he refused and was drowned in that year. (The Martyrs' Mirror statement that he was executed in 1529 seems incorrect.) Another leader of the Anabaptists was Bernhard Sager of Bremgarten, who likewise was in prison in 1529 but was later released. In 1530 the government at Aarau fined the Anabaptists who had listened to the sermons of the Anabaptist Martin Weniger in the region of Solothurn. Encouraged by the recantation of Hans Pfistermeyer, the government proclaimed a public religious disputation on 1 July 1532, which was held in Zofingen in Aargau. It was unsuccessful, however, for the Anabaptist movement (Täujerunwesen) continued to spread. One leading Anabaptist, Fridli Iberger of Schwyz, was, to be sure, induced to recant. He was one of the prisoners who had escaped from the Hexenturm in Zürich. After his exile from Zürich he worked successfully for the Anabaptist cause in Basel. Banished from Basel under penalty of death because of his violent attitude, he worked for a time as a cowherd. He was finally arrested in Rüttigen in the district (Vogtei) of Biberstein. Stern measures were undertaken against the Anabaptists. Two of them, Hoegerli (called Hägerley in the Martyrs' Mirror,where the date of his death is incorrectly given as 1529) and Schnider (later, in 1535, another considerable number, including a native of Wallis [Valois] mentioned in the Martyrs' Mirror as "the young fellow of Wallis"), were taken to Bern and executed with the sword in 1535. 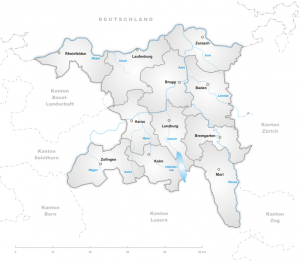 In the district (Amt) of Lenzburg the Anabaptist movement appears to have quietly spread. The meeting place was near the border, enabling them to flee quickly in case of pursuit. In a public discussion in 1538 two Anabaptists from this district and two from the district of Aarburg, besides Hans Vogt of Villingen, took part. When after this debate more rigorous measures were adopted, many immigrated to Moravia. By the middle of the sixteenth century this movement toward Moravia could be observed throughout Aargau. In 1548 Bern issued a decree imposing a fine of five pounds on women and ten pounds on men who attended Anabaptist meetings. Among those thus fined was a Rudolph Müller. Anabaptist books were to be collected and a strict watch kept over the Anabaptists. This led to a widespread emigration to Moravia. Frequently the local pastor was surprised by the departure of entire families. The property of these emigrants was confiscated. In 1578 the citizens were forbidden to purchase the estates of Anabaptists about to leave, in order to make sure that their fortunes would accrue to the state. Thus the state acquired 510 pounds from seven emigrants. In Baden the two Swiss Brethren leaders Kuenzli and Johannes Kern were active in the Anabaptist cause as early as the 1520s. It is impossible to ascertain whether the movement spread to any considerable extent in this strongly Catholic region. But in the neighboring Protestant regions this must have been the case. This is indicated by the numerous emigrations to Moravia that were organized by Heinrich Müller of Meisterschwanden. From Reinach, to the south, 26 families emigrated. The receipts of the district treasury amounted in 23 years to 10,277 pounds. Most of the emigrants were of the well-to-do peasant class and their departure created a great sensation. All kinds of measures to prevent their going were resorted to. The pastor of the state church exhorted his members to avoid the emigrants to Moravia, calling the Anabaptists insurrectionists. Thereupon Baschi Frey of Menziken arose and asked the preacher whether he could name any insurrectionists. For this interruption he was mildly punished by a fine of ten pounds. Rudolph Schnider, Jakob Kolb, Hans Meyer, and Hans Locher are mentioned as insurrectionists, i.e., Anabaptist preachers, besides Jeremias Läser, who was held as prisoner in the castle 19-21 March 1593, and then taken to Bern. In the seventeenth century Kulm became the center of the Swiss Brethren movement in the Wynen Valley. Heinrich Müller had come this far on his journey of propaganda, and persuaded many to emigrate to Moravia. We find familiar names among them and their relatives, such as Hans Haury of Hirschtal (had to pay a fine of one hundred pounds for his sister), Hans Uli Widmer of Bottwyl, Hans Schwytzer of Hirschtal, Hans Schumacher of Wynstägen (in the Martyrs' Mirror incorrectly said to be from Wünistern), the Müller family in Bonhusen, Hans Luscher of Zofingen, Elsi und Uli Gut with their large family in the hamlet of Hinderswil. Josef Hauser of Zofingen, a learned man, originally a clergyman, was appointed as a Hutterite preacher at Neumühle in Moravia on probation; Hans Suter moved in 1587 from Seon to Moravia and had to pay a removal fee of forty pounds. Hans Rudolph Suter was taken to Bern in 1593 because he was an Anabaptist preacher. A martyr in the district of Aarburg was Hans Madliger, who was drowned at Hamburg on 10 February 1531. Also from this place many immigrated to Moravia, among them one Hans Riedtmann of Brittnau, who went in 1573. About this time the Anabaptist preacher Andreas Glur of Birrwyl, also called Andreas Birrwyler, was active in the region of Aarburg. He must have been very successful. When he was captured in 1580 there were a surprising number of Anabaptists in the region. Among them were, for instance, in Balzenwyl "the entire village with women and children, and man and maid-servants"; besides, there are fifty-eight persons mentioned in the same document, most of them heads of families or mothers. All of them were summoned for a hearing on 3 December 1585; but persuasion was in vain. They declared that they wanted to remain true to the Gospel and to God, who is truth and life. Fridli Rot, Andreas Beringer, Hans Hofer, and Hans Myer were the spokesmen. Seven years later (1592) they managed again to present their case skillfully and forcefully. The government, they said, was to punish the evil but not the good whom it was harassing. It was not its task to judge faith. They believed in a universal Christian church, which was present wherever two or three were gathered together in the name of Christ. Finally, they said, a Christian government was not permitted to use the sword. The chancellery of Aarburg was unable to convince them and turned to Bern for counsel. Orders came back to proceed with severe measures to enforce compliance, which was done. This pressure led to new emigration, but this time the emigrants were largely the younger people. Through pastoral records their names are better known than those of earlier migrations. We meet familiar names, like Hartmann Kuenzli of Egliswyl, Henry Stählin of Birrwyl, Melchior Hunzicker of Leerau, Uli Hegis of the same place, Ulrich Bär of Schoepfland, whom they tried in vain to persuade to recant, Uli Bachmann of Bottenstein. Some of them returned to their homes again, like Peter Hoeggi of Seon, to whom (1624) his fortune of 400 pounds was restored after he promised to "conduct himself obediently." Those who remained were severely dealt with. In 1599 three Anabaptist women were imprisoned; one of them died after a third trial as a result of torture. She was the daughter or daughter-in-law of the above Fridli Iberger. Of those who immigrated to Moravia, three are particularly worthy of mention. One is Heinrich Müller of Meisterschwanden. In Beck's Geschichts-Bücher (281) he is called Heinrich Sumer, a miller of Maschwanden. It is recorded of him that with Jakob Mandel he was drowned on 9 October 1582, in Baden. The second is Hans Meyer, banished 29 May 1591, probably one of the elders who on 1 January 1646, signed a new rental contract with Count Kolonitsch. Of Josef Häuser it is recorded that after a long and fruitful activity in Moravia, where he was highly esteemed for his learning (he knew Latin, Greek, Hebrew, French and German), he died at Prybitz, 3 September 1616. After the Thirty Years' War only a few traces of the Anabaptist movement are found in Aargau. Among the names recorded are Martin Burger of Burg in Reinach, Rudolph Kuenzy at Muhren, Bernhard Rohr at Uerkheim, Dätwyler in Offringen, Hans Dester, and Jacob Gut, who was banished 10 September 1660. The rest of the Swiss Brethren also left their homeland and immigrated to Alsace and the Palatinate (especially in 1671). Those who remained rallied around the Bachmann family in Bottwyl and the Haury family in Waldgraben. Most of these took part in the great emigration of the Swiss Brethren in 1711 to the Palatinate and the Netherlands. In the region of Zofingen they were found later than anywhere else. As late as 1720, Hans Bachmann went from here to the Palatinate; until his death he received support from his Swiss homeland. There are today no Mennonites in Aargau. "Not until 1726 can it be officially stated that there was in Aargau no longer an Anabaptist" (Heiz). Heiz, Jacob. Die Täufer im Aargau. Aarau: H. R. Sauerländen & Co., 1902. Zwingliana I (1903) 235. Concerning Heiz the Zwingliana states that his book is based on Müller, Berner Täufer, but is nevertheless an independent study. "Not until now has it been clear to what extent these regions were involved in the Anabaptist movement. The whole is a story of two hundred years of suffering." Hege, Christian and Christian Neff. Mennonitisches Lexikon, 4 vols. Frankfurt & Weierhof: Hege; Karlsruhe: Schneider, 1913-1967: v. I, 4. Merz, Walther. Inventar der aargauischen Stadtarchive l. Bern : K.J. Wyss ; Aarau : H.R. Sauerländer, 1895-1917: Zofingen, Baumgarten, Aarburg, Aarau, Baden, Lenzburg, Meilingen. Neff, Christian. "Aargau (Switzerland)." Global Anabaptist Mennonite Encyclopedia Online. 1953. Web. 26 Apr 2019. http://gameo.org/index.php?title=Aargau_(Switzerland)&oldid=141014. Neff, Christian. (1953). Aargau (Switzerland). Global Anabaptist Mennonite Encyclopedia Online. Retrieved 26 April 2019, from http://gameo.org/index.php?title=Aargau_(Switzerland)&oldid=141014. Adapted by permission of Herald Press, Harrisonburg, Virginia, from Mennonite Encyclopedia, Vol. 1, pp. 4-6. All rights reserved. This page was last modified on 20 November 2016, at 07:29.